For my fifth Weekend Aesthetic, I’m featuring Stephanie Perkins’s Lola and the Boy Next Door. Some of the very first YA contemporary romances I read were Stephanie Perkins’s books, so I am so excited about featuring an aesthetic of my favorite book of hers. In case you missed it, last year I took a tour of San Francisco as Lola, which is one of the most fun blog posts I’ve created! Budding designer Lola Nolan doesn’t believe in fashion… she believes in costume. The more expressive the outfit — more sparkly, more fun, more wild — the better. But even though Lola’s style is outrageous, she’s a devoted daughter and friend with some big plans for the future. And everything is pretty perfect (right down to her hot rocker boyfriend) until the dreaded Bell twins, Calliope and Cricket, return to the neighborhood. What do you think of this weekend’s aesthetic? 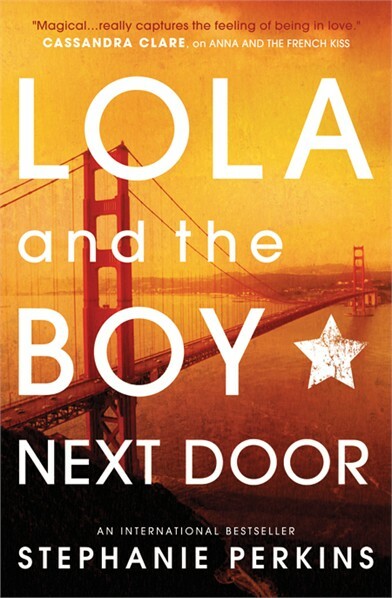 Have you read Lola and the Boy Next Door? I just checked this book out from the library last night. I’m a new Stephanie Perkins fan (better late than never, right?). I love all of your photos, especially the full moon and Victorian houses. Thank you! I hope you loved LOLA as much as I did! I looove this aesthetic. So pretty. I wish I was good at book aesthetics! I really love Lola and the Boy Next Door, and your aesthetic for it is so perfect! Good job!